We might think of “design” as being something relatively recent in human history, but people have probably been creating tools, making life easier or beautifying our surroundings for as long as we’ve had self-awareness. Before any other human creation, likely including language, design was a practice of early humans passed down from one generation to the next. Everything we have today – cars, computers, smartphones, shirts – are a result of many thousands of years of discovery. 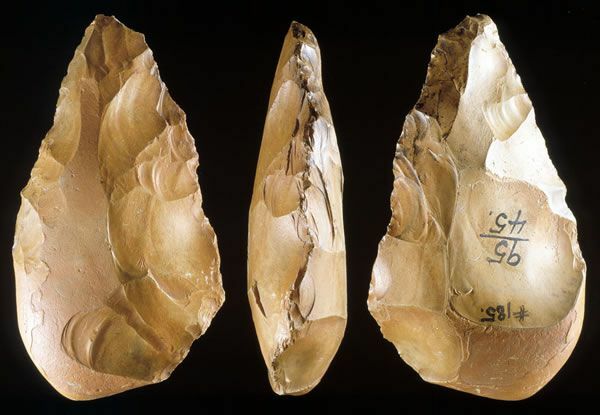 And all of it could possibly be traced back to the Acheulean hand axe, which historians and archeologists believe was the first object ever designed by humans. The Acheulean hand axe doesn’t actually look anything like an “axe” in the modern sense. It’s made of stone instead of metal and it has no handle. It is basically a rock that has been chipped and chiseled, frequently into the shape of a tear-drop. We don’t exactly know what they were used for, but making one required time, skill and effort – all valuable assets for prehistoric humans. Theories for their use range from cutting meat from bones to cracking nuts to being thrown like a discus at enemies or prey. Whatever they were used for, they had to have been good for something, as the oldest ones are about 1.7 million years old and hominids continued to make them for more than a million years. Google has built some of its value off of an art form that dates back more than 25,000 years. Maps have evolved from pigments on the stone wall of a cave to beautiful works of art to, well, Google Maps. Maps are not only important for helping people travel from one place to another, but they also help to define territories. 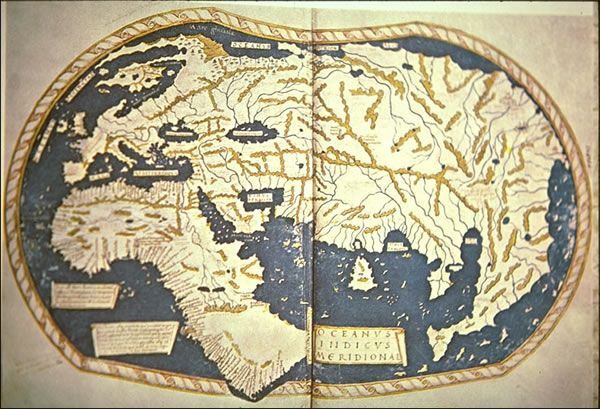 Some of them have even shaped history, such as Henricus Martellus’ incredibly inaccurate world map from 1490, which Christopher Columbus used to convince King Ferdinand to fund a voyage to the west, which would surely result in him reaching the East Indies. We know how that turned out. Ah, the wheel. It is so simple, we take it for granted. It helps us get all of our stuff from point A to point B, and it’s almost baffling to think that humans have ever been without them. But someone had to eventually invent it. The evidence suggests that wheels have been in use at least since the 4th millennium B.C. The oldest wheel and axle mechanism that has been discovered and reasonably accurately dated is from roughly 3100 B.C. 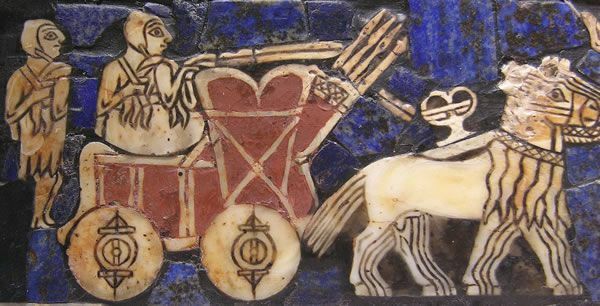 Onager-drawn cart on the Sumerian “battle standard of Ur” (c. 2500 BC). Wheels don’t just help with transportation, they’re also the basis for gears, cogs, pulleys and other things that help our water wheels, centrifuges and combustion engines to function. For thousands of years, words and messages were carved into stone. Eventually different types of paper were invented, and people were able to use ink, but everything had to be tediously written and copied by hand. It could take a year or more to make one copy, and they were often riddled with mistakes. Only the rich could afford to buy them. The first moveable block printing presses were invented in China in the 11th century, but it wasn’t until Johannes Gutenberg invented his press in the mid-1400s that the process of mass printing was revolutionized. 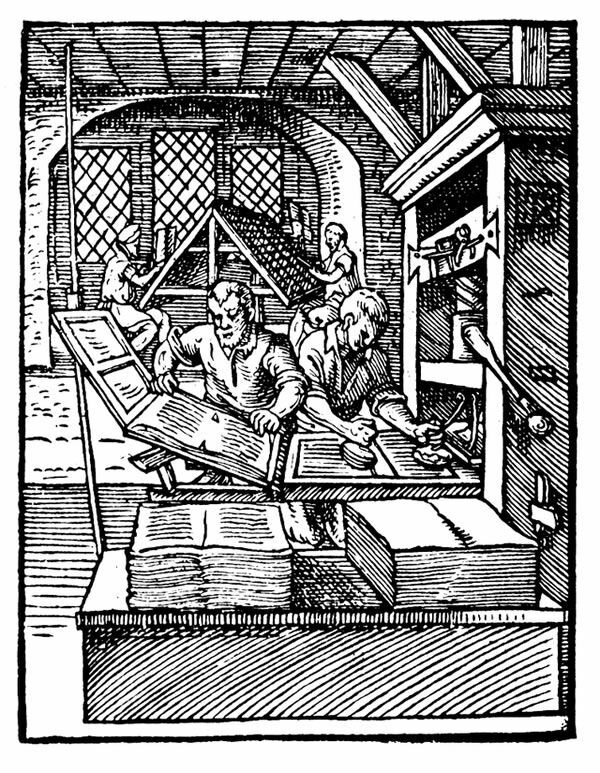 Early wooden printing press, depicted in 1568. Suddenly, information could be spread much more quickly and the price of books dropped considerably. The invention of the press paved the way for more people to become literate and pursue and education. Now it’s time to get a bit meta. 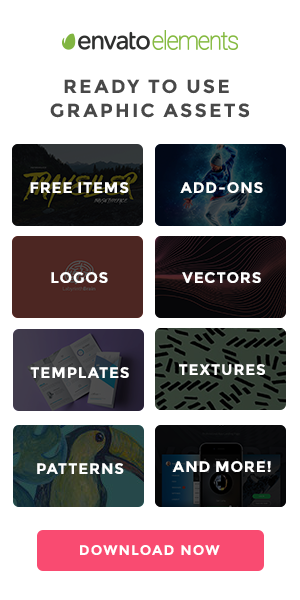 If you’re reading this, there’s a good chance that you’re a designer of some sort. 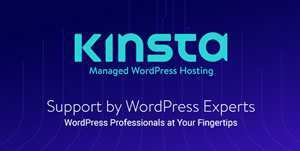 You probably spend a lot of time creating designs on your computer. In fact, the jobs of millions, if not billions of people, are reliant on some sort of computer. It’s the foundation of much of our infrastructure and daily life, from traffic lights to making a purchase at a cash register. 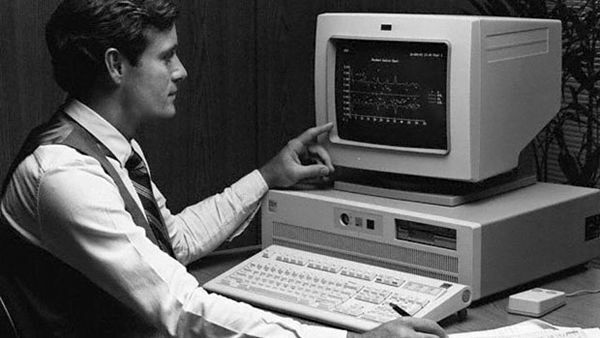 And even more, this invention that barely anyone had in 1980 has made possible all of the technology we love today: laptops, mobile phones, tablets, internet, GPS. Thank you Bill Gates and Steve Jobs, for designing these things that eventually let us do our design jobs. We might think of “designer” as a relatively recent occupation. In truth, though, it’s probably one of the oldest professions. Were it not from the creative thinking of hominids millions of years ago, we wouldn’t be capable of the incredible things we do that make the world a more beautiful and easier place to live.